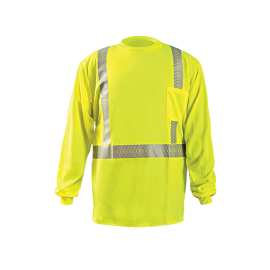 Be seen and not hurt...with comfortable, and conspicuous, independently certified ANSI Class 2 and 3 compliant high visibility shirts. 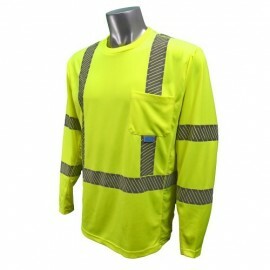 These hi-viz shirts are perfect for working outdoors for any application. 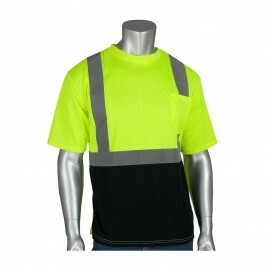 We stock a large selection of stylish safety t-shirts, high visibility shirts, reflective t-shirts and high visibility polo shirts made by OccuNomix and Bay Side. 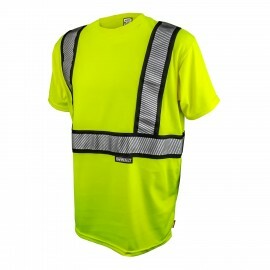 Our Line of Traffic Safety wouldn't be complete without Safety Vests too! 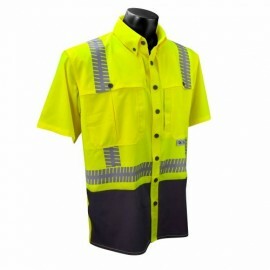 High visibility shirts will keep you cool in the summer time or keep you warm on those cool days. 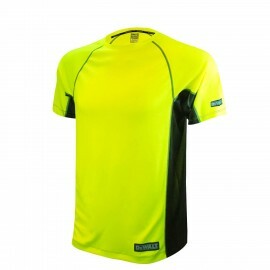 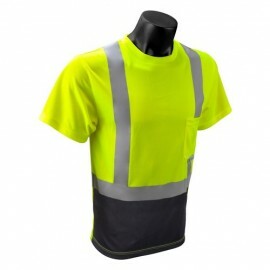 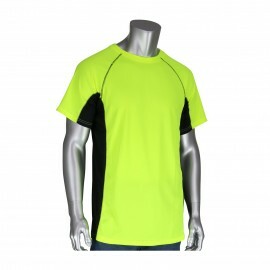 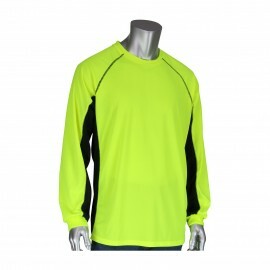 Choose between high visibility yellow or orange, long sleeve or short sleeve, with or without a reflective tape. 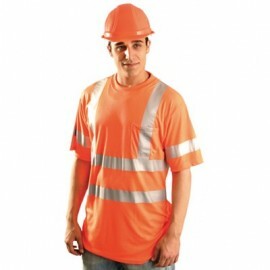 The sun's UV rays react with the florescent orange and yellow, making them appear to glow and easier to see. 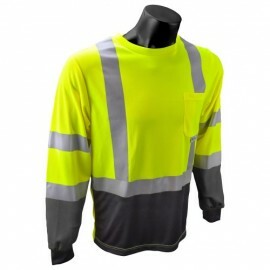 Shirts with 3M reflective tape are essential when working in the evening time or on a cloudy day as it ensures you will be seen by passing cars with their lights on. 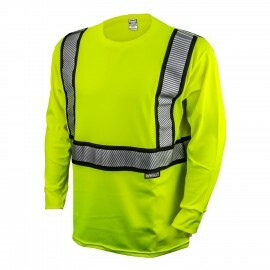 Lights bounce of the reflective tape, which increases nighttime visibility. 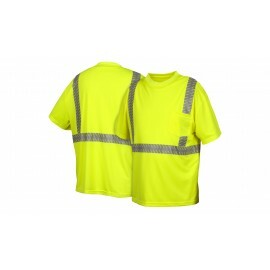 Class 2 - Required for workers working near roadways with cars traveling at speeds of 25-50 mph. 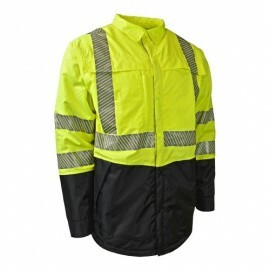 Ideal for roadway construction workers, utility workers, survey crews, law enforcement, school crossing guards, airport baggage handlers, railway workers and emergency response personnel. 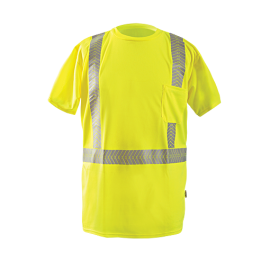 Class 3 - High visibility clothing for workers working in high-risk situations where cars travel at speeds exceeding 50 mph and allows them to be seen from a minimum distance of 1,280 feet. 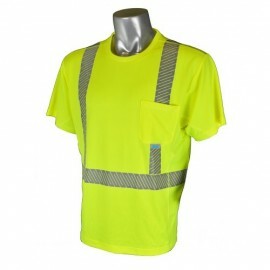 Ideal for roadway construction workers, utility workers, survey crews and emergency response personnel. 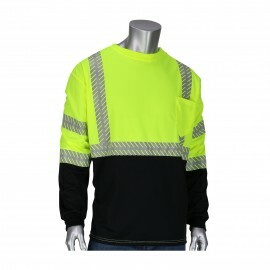 Reflective tape does not benefit you during the day time. 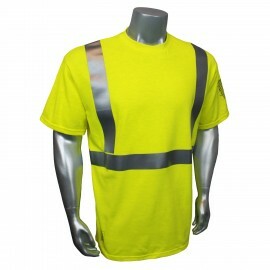 Reflective tape helps drivers to see you 3 seconds sooner at night time. 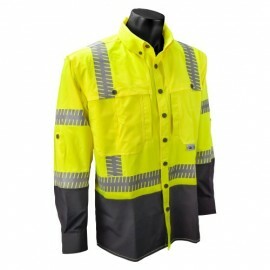 For more information on High Visibility Safety Apparel, please visit our Customer Resource Center.